I went to get my Christmas tree out of one of my five storage units a few days ago. It’s amazing to me how my storage needs have grown over time. I calculate that I rent 700 square feet of space to hold everything from seasonal decorations to furniture and bric-a-brac that I don’t plan on ever using again but can’t bear to part with. But I’m not alone in that storage expansion. America has always been a very materialistic society and that’s the perfect match-up for the storage industry. Studies have shown that the number one item stored in the U.S. are Christmas trees and related ornaments. That gets many customers in the door, and then it just grows from there. We would also like to take this opportunity to wish you a Happy Holiday Season. We really appreciate you taking the time to read this newsletter and related articles. We work all year writing this material and really appreciate our extended self-storage family. So have an extra glass of eggnog on us! We look forward to continuing this conversation in the New Year! What Additional Revenue Streams Can You Add To Your Storage Facility? 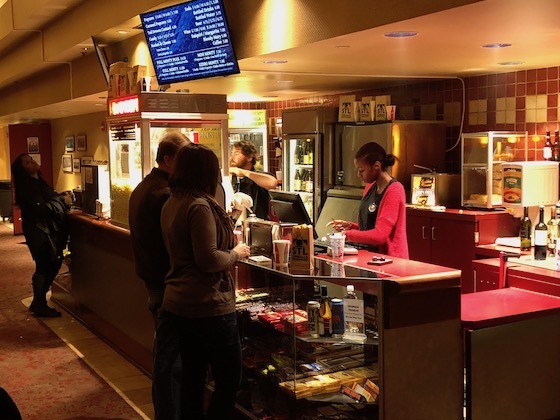 Most movie theaters rely more on popcorn and drink sales than they do on admission tickets. Over the years, it’s become a significant stream of revenue for them. In this same manner, there are additional income streams that can contribute to the net income of your self-storage facility. So what are these options? Self-storage is all about boxes and tape – that’s what you need to store your belongings. So why not sell these? Some storage facilities aggressively advertise this fact – via giant banners – since most storage facilities have impressive frontage and traffic counts. It’s a perfect tie in. Now you’re taking the boxes and tape concept to the next level. With moving a household full of furniture (or a dorm room) comes the demand for a U-Haul truck and/or trailer. On top of that, you have the frontage to advertise this fact to thousands of drivers per day, as well as a manager on-site to fill out the paperwork and turn over the keys. It’s not a big-money concept, but many storage owners make a little extra money selling locks. This is a win/win idea as many people who sign up for a unit don’t have a lock on them and this saves them the time and trouble (and return trip). If you’re going to go this route, you can buy locks inexpensively on-line (not at Home Depot) and mark them up. Many storage facilities are natural locations for billboards because of their road frontage. Of course, billboards are federally regulated, so just having frontage is not the whole story: you have to have the right zoning and spacings as well. Cellular towers are also not entirely inside your control, but you won’t know if you don’t ask. Many storage facilities have a little excess land. While the zoning may not allow you to build more units, it may allow you to expand your parking lot. And this would usher in the ability to rent out those spaces for RV, car or boat storage. Once again, It’s a natural extension of your facility and easy to market using your road visibility. Just like a movie theater, there are multiple income streams available at little or no risk to experiment with. Even a modest success with any of these can increase your net income by thousands per year. A large number of storage facility contracts for purchase end in a renegotiation. But only a portion of those end up with the seller agreeing to the discount. There simply is a right and a wrong way to approach a seller to lower the price. Here’s what we’ve learned over the past two decades. The first step in renegotiating a storage contract is to make a complete list of everything that is wrong with it. Don’t make things up – that will never work. But start at one end of the property and make a complete accounting of all the deficiencies. Potholes, rust, broken doors, drainage issues, painting problems – don’t leave anything off the list. Pretend that you’re doing a property condition report for a bank. Up to bat next is to get multiple repair bids for each item. If you can get three, that’s great, but if you can only get one or two it still works. The point is to continue with the theme of doing a complete analysis of the property. A factual one that shows that you’re not just making these items up. Now build a complete inventory of all items and the cost of repairing them. Essentially a menu of items fully typed. It should read “item, price to repair” in a giant list. Attach all the bids at the back of the report. But the key item is not to tally up the total amount of all the items. Renegotiating the price is best done in person (but it can be successfully done by phone if a person-to-person encounter is not possible). If the deal means a lot to you, definitely try your best to meet in person, even if that means a lengthy drive or travel on a plane. In the meeting, review each item and get the seller to agree that it needs to be fixed and what it will cost to do so. Most sellers are honest about their property condition, and will not fight you over picking out its faults. They will also be impressed by your thorough research on the cost of repairs. The reason you didn’t tally the costs was that human nature is for the seller to look at the total and tune you out if the number is too high. They will then spend all their time coming up with a polite way to turn you down while you’re talking. By not totaling it, they don’t know what the amount is so they focus on you and each line item that’s up for discussion. So when you total the items and it comes up to $73,600, the seller is in a tough position because they’ve agreed to each item so how can they now say “no”? Sometimes the seller’s reaction will be “that’s more than I thought it would be – I bet I can get it done for less myself”. When that happens, go along with it by proposing that the total number for repairs be held in escrow at closing, with the money being released to you if the seller does not get all repairs completed within 90 days of closing. It’s a fair solution. Of course, in 99% of all cases the buyer gets the money because the seller find that they can’t do it for any less. Use this system if you want the best chance at renegotiating your storage deal. With so much at stake, you should put in this extra effort and strategy to get what you want – and that’s a win/win deal for all. If you’re buying – or refinancing – a storage facility that costs over $1 million, then you have many more financing options than you may realize, as well as a simpler path to get the best deal. We use a “capital consultant” names MJ Vukovich at Bellwether. His role is to build our loan package, create the list of potential lenders, make the initial phone call to each as well as the formal presentation of the loan, negotiate the terms, suggest the best loan option, finalize the loan commitment, and follow along until the loan is successfully closed and funded. For all this work, he receives around one point of the loan amount, and that’s only paid upon closing of the deal. All consultations are free. Give MJ a call today at (612) 335-7740 and see what he can do for you. How Can You Do A Better Job Of Piloting Your Storage Investment? Airline pilots carry a lot of responsibility. The safety of their passengers and crew depend upon their every decision. Similarly, your storage investment is banking on your ability to properly guide it through the various risks and profit drivers to land safely on your budget. So how can you do a better job? We have found that no one item can destroy a storage facility more than a bad manager. Therefore, the successful selection of that candidate is vital. More than any other item, you need to put in the proper time – and cast a big enough net – to find someone who is “manager material”. Just because you find somebody that will accept the money and start tomorrow does not mean that they are the right choice. Hiring a good manager – while a huge part of success – is not going to work if you do not manage them properly. 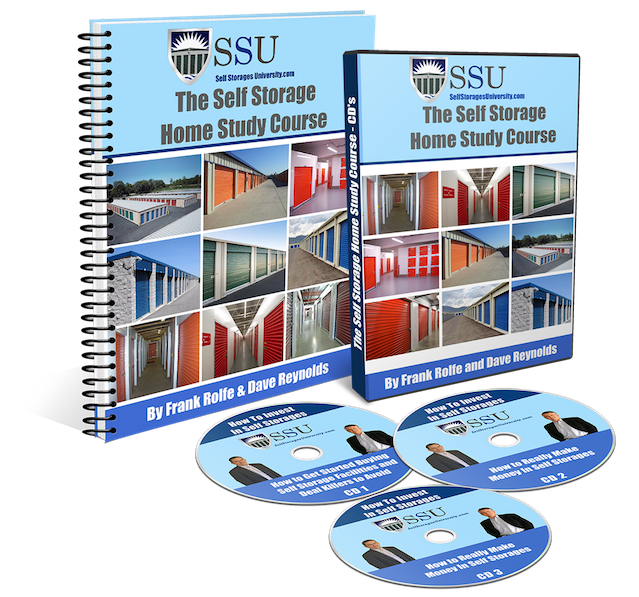 You need to lay out the goals of the storage property, and how you want to achieve them. Good people like to understand how they are being graded, no different from high school. Tell them exactly what they are to do and then what would be your expectations in hitting those thresholds. Tell them what’s not important vs. what would get them immediately fired. 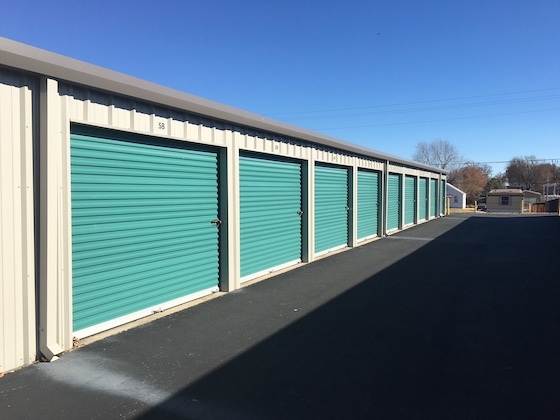 When you bought that storage facility, you did so with certain target numbers in mind on revenue and expenses and – most importantly – net income. So don’t ever forget what the mission was. Every month you need to hold a formalized meeting with yourself and your investors (even it it’s only you) and look at the budget vs. actual performance, and focus on the difference and where that has placed you. If you are over on costs, figure out way and make efforts to fix it. We call this the B/A/D review and it’s essential. How many storage deals go bad simply because the owner was not paying attention to the expiration of the debt. Too many! Even if you’re making your payments like clockwork, most loans still have a balloon payment at some point that requires refinancing. If you miss that balloon you lose the property and that’s called a “term default”. In 99 of 100 cases, what happened is that the owner lost track of the loan expiration date, and then started trying to refinance with only a few weeks left to go. As the owner, you should be able to recite from memory the exact month, day and year the loan comes due. And start replacing it at least a year ahead so you have plenty of time. See that whole in the street without safety tape around it? That’s what is going to get you sued. Or the sidewalk that has a huge gap in it. Slip and fall claims, fires, car damage – these are all frequently preventable if you will only use some proactive attention to them. The owner should frequently walk the property looking for risks, and have the manager do the same. Remember the old adage “an ounce of prevention is worth a pound of cure”. 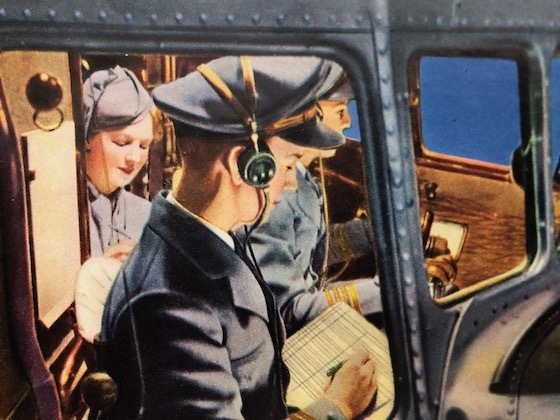 Just like a pilot, a storage owner has every reason to believe that they are going to arrive at their destination on time (namely a profitable ending). But, just like a pilot, the owner must properly stay attentive to the behaviors that spell success. Why Is Austin The #1 Storage Market In Texas? One of the hottest self-storage markets in the U.S. is Austin, Texas – the state capital. There are many reasons for this. Austin has shown population growth of 100% over the past ten years. It’s doubled. That’s among the highest in the U.S. and equates to an endless increase in demand for storage. There are people constantly moving in, moving out, downsizing, and buying a lot of material goods to store. These activities are all a positive if you’re a storage facility owner. The median home price in Austin is $346,500, which is extremely high (nearly double the national Aputs additional pressure on storage demand as it’s simply too expensive to clutter up your closet or garage when you’re paying $300+ dollars per foot. Banks love Austin as it has had impressive growth with a fairly diversified economy of education (University of Texas), government (the State Capitol) and healthcare (the UT hospital campus). Successful loans create more banking demand, as bankers live by the adage “before there can be return on capital there must be return of capital”. Austin is a hot market for storage. But it did not get there accidentally. It’s a market that has many great feature which, when summed together, present the perfect environment for successful storage investments. A recent storage unit auction in California had a surprise ending when a $500 unit had $7.5 million hidden inside a locked safe inside the unit. The purchaser agreed to give the money back with the payment of a $1.2 million finder’s fee. As the auctioneer noted, it was a happy ending for all, because he would have been terrified if the owner of the money was in a bad mood.